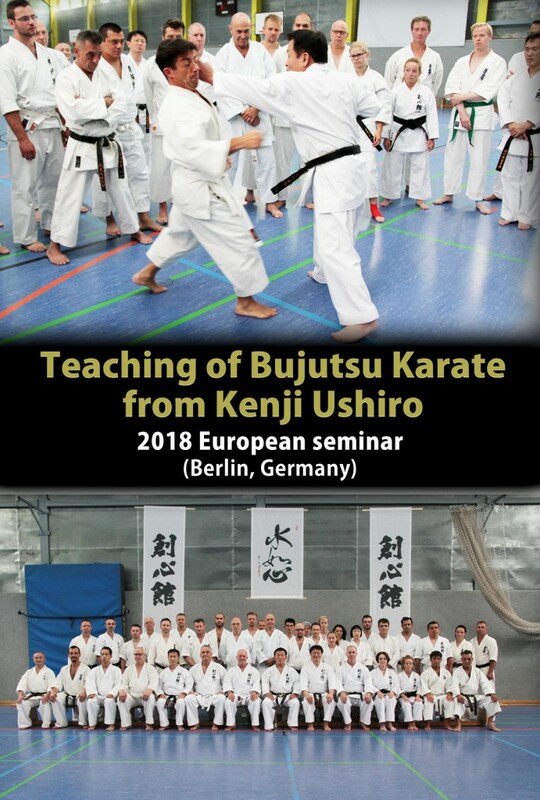 Dou Shuppan is pleased to announce the sale of Ushiro Sensei's Bujutsu Karate seminar that was held at Berlin, Germany in June 2018. The video will be sold online through Vimeo platform. Video from Bujutsu Karate seminar of Kenji Ushiro held at Berlin, Germany in June 2018. Karate instructors from all over the world gathered to learn Ushiro Karate. Their commitment and passion are clear from their feedbacks. Mr. Ushiro responds by sharing his teachings. Video focused on Passai kata and its applications.